You are here: Home / What Do YOU Want to Ask the Next Editor-in-Chief of The Plant Cell? / Updates / What Do YOU Want to Ask the Next Editor-in-Chief of The Plant Cell? 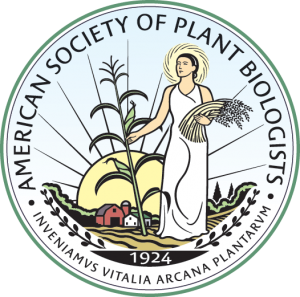 We have been charged by ASPB to conduct a search for the next Editor-in-Chief of The Plant Cell. Back in March of this year, we began the search process by meeting as a group to discuss potential candidates for this important role. We invited candidates and issued a call for nominations to the community. CVs were requested from a number of your colleagues, and from that group several scientists were asked to submit a vision statement for us to review. We have reviewed the vision statements carefully and are ready to move on to our next phase in the selection process: telephone interviews with a handful of finalists. Now, we need YOUR help. It is important to ASPB that we select an Editor-in-Chief who builds on The Plant Cell’s rich history of serving the global plant science community. The Plant Cell, ASPB’s flagship journal, publishes novel research of special significance in plant biology, especially in the areas of cellular biology, molecular biology, genetics, development, and evolution. The next Editor-in-Chief will succeed Dr. Sabeeha Merchant, whose term ends in December 2019. Dr. Merchant has been a strong and visionary leader of the journal, introducing many innovative changes including publishing open peer review reports and growing and strengthening the Editorial Board. The scholarly publishing industry is in the midst of many innovations and changes: open access mandates, artificial intelligence, reassessment of journal impact factors and other metrics, and preprints, to name just a few. The new Editor-in-Chief will play a central role in determining how The Plant Cell evolves to continue its role as a leader in the field while adjusting to the ever-changing publishing landscape. What do YOU believe are important qualities and perspectives to look for in our next Editor-in-Chief? We invite you to provide our committee with the questions you would like us to ask the Editor-in-Chief finalists. You can suggest these questions by commenting on this blog post and/or tweeting them, using hashtag #TPCEiCSearch2018. We look forward to involvement from our authors, readers, membership, community leaders, and any interested individuals. We very much want to hear from you. We recognize the value of The Plant Cell to our plant community and to ASPB’s membership. Having each one of you participate in the process is key to continuing the legacy of The Plant Cell well into the future. Thank you all for your help.